With Lingopal 44, you have a few options. 1) use the free app as it is. There are 44 languages to jump around, but only 2 categories. There are also adverts. 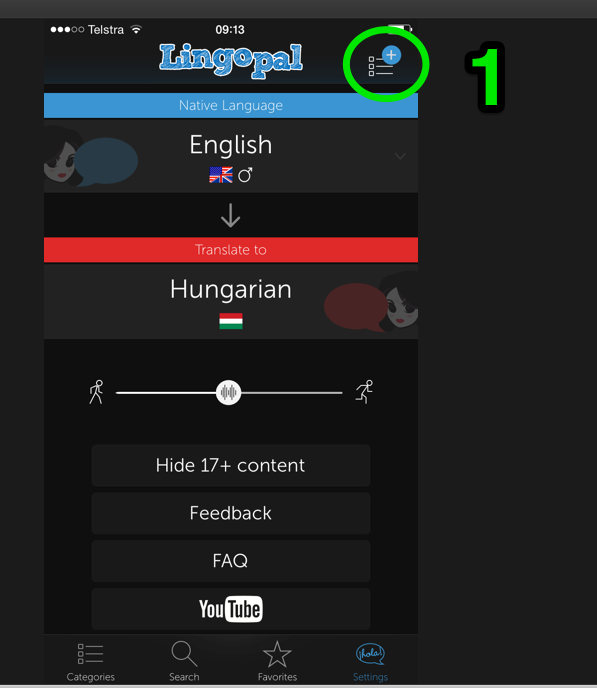 2) download a single language in-app purchase (IAP) for US$0.99. This unlocks hundreds of phrases across a couple of dozen Categories. Not only is it much more useful, but the adverts disappear. 3) download a language bundle like Eastern Europe, Scandinavia, Asia etc. These bundles typically have around 8 languages within them. For instance, Central Europe includes Croatian, Serbian, Greek, Czech, Polish, Hungarian, Slovak and Slovenian. They sell for US$3.99. 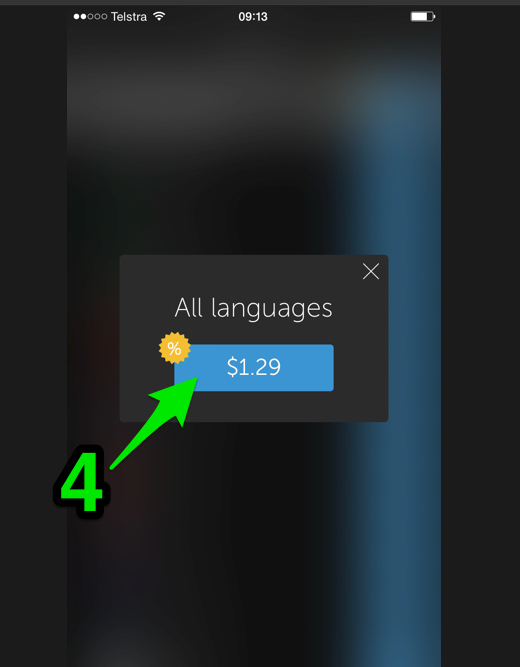 That’s a significant saving compared to buying individual languages. 4) if you travel a lot, love meeting foreign people, or just have an insatiable appetite for languages, then you’ll want the ‘All Languages‘ IAP. This includes everything – 44 languages and over 10,000 phrases with audio. This normally sells for US$9.99, just $0.23 per language. 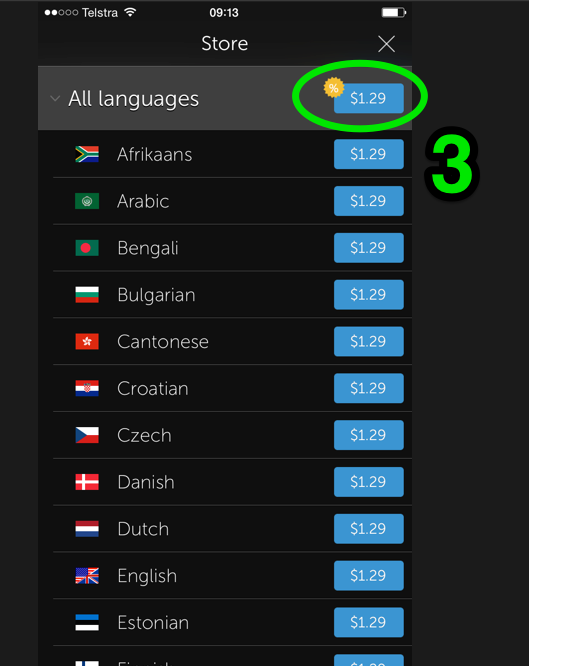 23 cents per language seems a good deal, right? Well, we can do better. 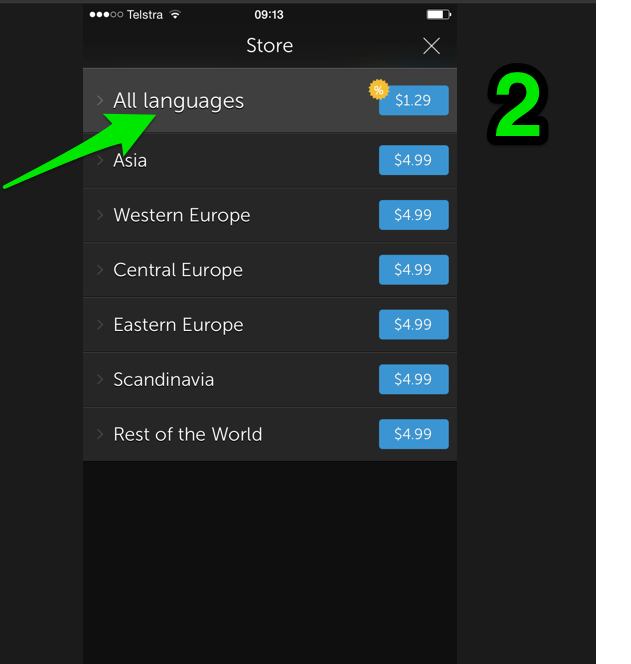 For a limited time, we’re offering the All Languages IAP for just $0.99 – about 2 cents per language. What can you buy for 2 cents these days? Nb. the $ figures shown below are taken from the Australian App Store. 4 – and finally click this button to download everything. It’s that easy. Like I said, this deal is not going to be around for ever, and is unlikely to ever be repeated. So go and grab it now.